Finding accommodation is one of the stumbling blocks that some people will find whilst planning their gap year. Some organisations actually offer accommodation if you have gap work with them, but not all, and if you are finding your own work you will have to think of somewhere to stay. The main problem is that there is so much out there! There are different options and, of course, locations to think about. It is just about picking and choosing what best suits you (and your budget!). Hostels are a good choice for the gap year backpacker. They are cheap, and while they might not be as lush as a hotel, they offer basic amenities and are a popular choice. Websites like Hostel Bookers and Hostel World are good places to look for cheap accommodation in a gap year. If you would like something a bit more upmarket, or have a bit more of a budget to splash out on a more luxurious home away from home, then you might want to think about a hotel or rental. Rental apartments are a good idea for those who are working in a town or city in a foreign country, and especially so if you are staying for a number of months. As cheap as hostels may be, living out of a suitcase for months on end might not suit you, and one of these options will make your time abroad feel more homely! 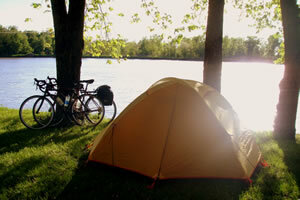 If you are a true earthworm and love the outdoors, then there is always the option to camp! Although it will add a little weight to your equipment, you’ll save loads of money in the long run. Campsites are found in almost every destination, and failing that you could go true backpacker style and ask any polite locals if you can camp out in their garden (it’s not unheard of!). Many websites and books are out there that offer guides to camping and finding the cheapest option. Wherever you go in your year away, you can count that you’ll find somewhere to camp nearby! You’ll find that many of the organisations that offer work experience and volunteer work for gap students also provide accommodation (or at least help finding it). By obtaining accommodation through gap projects you will save on money, but maybe won’t get the choices you would if organising it yourself. This may not be a bad thing though! Many organisations offer good quality beds and you will be getting the full experience of your gap work. You will mix with other people in the same boat as you, so socialising will be natural and enjoyable. Be sure you research properly the organisation and what they offer - if they don’t offer accommodation and you don’t organise your own, you will be a bit stuck once you get there! 1. How much can I spend? Prices will vary according to the season, the individual hostel, and the type of room you want. 2. Where do you want to be? Do you want to stay in a city centre near bars and clubs? Or would you rather head for the quieter suburbs? 3. How long do I want to stay there? If you are planning on spending a long time in one place, you will need to look for short term rented accommodation payable by the month, not by the night. 4. Could I work there? If you are thinking of staying for a shorter time, but still long enough to see the bills mount up, you could negotiate a deal whereby you work in the hostel and get free accommodation. 5. What kind of room do I want? If you are travelling alone or in a group, a dormitory will definitely be the best option. If you are in a couple and need some privacy, you’ll have to stump up more for a room. 6. What kind of hostel do I want? Some hostels are run by chains and have hundreds of beds run with lots of facilities – bar, off-licence, job centre, swimming pool etc. These tend to be in city centres and can be a bit impersonal if you are looking to make friends with fellow travellers. At the other end of the scale are small outfits that are often run by ex-travellers. In between comes everything else. To be on the safe side, when you first arrive and need to get your bearings, prepare to pay a little more for a central hostel with a good reputation.